I’m a proponent of experiential learning. We learn about the material form of books not by reading descriptive bibliographies but by holding books in our hands. We learn to give conference papers not by sitting in the audience but by giving papers. We learn to code not by reading instructions but by encoding a text. 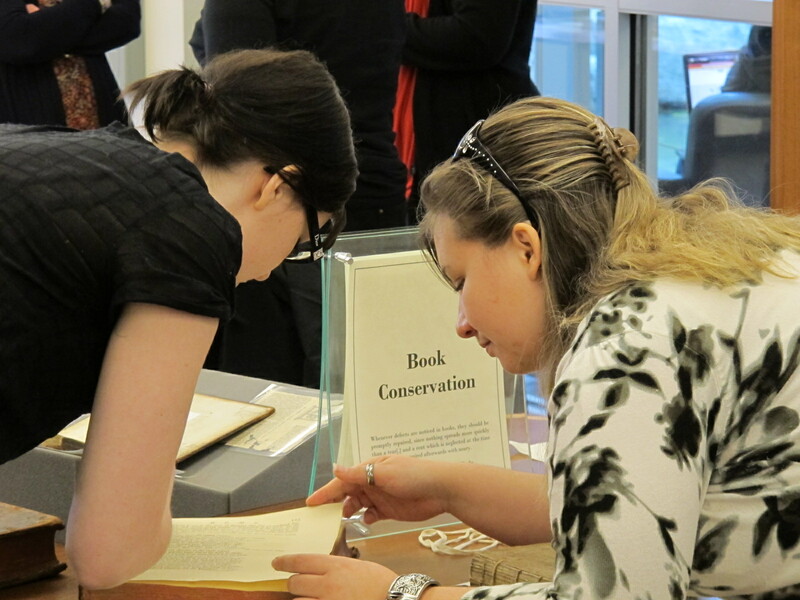 We curate exhibitions, act out scenes, edit texts, and solve real-life scholarly problems. Sometimes the stakes are low (a mini-conference open only to class members; sometimes the stakes are high (a blog post in a high-profile venue, a presentation at a university event). In many cases, there’s a scholarly product. The list below points you to some outcomes of experiential learning. Check back later for a full list….